The Layer2 Cloud Connector is now able to connect Twitter to integrate data to a wide range of IT backend systems including Office 365, SharePoint, SQL, ERP/CRM. Hamburg, Germany, May 19, 2017	(Newswire.com) - The social networking and online news service Twitter is a platform for social communications and interactions with a high popularity among the world, counting 319 million monthly active users in 2016. As the Social Network Sites’ usage is continuously growing, services like Twitter became an important channel for companies for promotions, customer loyalty campaigns, and corporate communications. The Layer2 Cloud Connector is now able to connect the team collaboration tool Slack to integrate data to a wide range of IT backend systems such as Microsoft Office 365, Microsoft SharePoint, SQL, ERP/CRM. 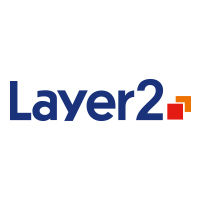 To better meet the specific requirements of larger companies with many different IT systems and apps, Layer2 released a new Enterprise Edition as a one-stop-shop solution for their data integration product.